EVA jigsaw mats your trusted supplier. Ezymats jigsaws are the preferred mats for many law enforcement facilities. 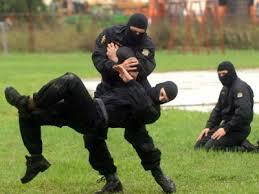 Ezymats currently supplier EVA jigsaw mats to a number of law enforcement organisation for training purposes. Ezymats ships interlocking mats to a number of locations through out Australia. Ezy mats also supplies jigsaw mats to detention centres and correctional facilities for training. When purchasing your EVA jigsaw mats trust the mats that are trusted by those who protect our community. 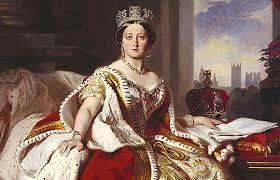 Ezymats will be closed 9th June for the Queen’s Birthday. Although the store will be closed customers are welcome to call us if they would like to pop in a buy some EVA interlocking jigsaw gym mats. Ezymats will now be stocking 20mm and 30mm EVA interlocking jigsaw mats. We currently have a shipment of 20mm and 30mm coming from our factory. They are scheduled to arrive in July. Our 20mm and 30mm EVA interlocking jigsaw rubber gym mats can be pre-ordered or reserved. We only have 200mats each from 20mm and 30mm on the boat. 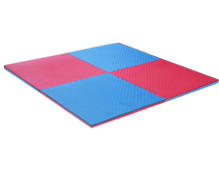 We also have 40mm EVA interlocking jigsaw rubber gym mats stocked in our warehouse in Belmore. Our new shipment of jigsaw mats arrive on 26th May. We have a full container of 40mm jigsaw mats. About a quarter of the container has be pre-purchased. Call now to reserve your mats. The majority of European and American Equity markets finished in the green with only modest gains as the Dow Jones Industrial Average closed 0.27% at 16,491.31, just shy of historical highs. The NASDAQ and S&P 500 also rose 0.52% & 0.37% respectively. The markets rallied on the back of further signs the world’s largest economy is still improving as US building permits rose to 1.08m over the 1.01m forecast. Gold remained relatively unchanged with only a $0.20 decline to close the week at US$1,293.40 while WTI Crude Oil jumped $0.52 up to $102.02 a barrel. Elsewhere tension are still at boiling point in the Ukraine as Civil War starts to look more and more likely with fighting continues to rage as we draw closer to the May 25th presidential elections. The AUD finished up for the third straight week and continued its push for a fourth straight month of gains, the longest rally in 4 years for the Aussie currency. With the absence of any major data on Friday the AUD drifted within a tight range to close almost unchanged. With a relatively quiet week locally. Jigsaw mats pricing remains stable. They will remain so as long as the dollar is strong. It has been consistently been trading above $0.93USD. The 40mm jigsaw mat pricing is between $25.00 and $30.00 per mat depending on pricing.